Author: Rendell, Ruth Set In . . . Description: With floods threatening both the town of Kingsmarkham and his own home and no end to the rain in sight, Chief Inspector Wexford already has his hands full when he learns that two local teenagers have gone missing along with their sitter, Joanna Troy. Their hysterical mother is convinced that all three have drowned, and as the hours stretch into days Wexford suspects a case of kidnapping, perhaps connected with an unusual sect called the Church of the Good Gospel. But when the sitter’s smashed-up car is found at the bottom of a local quarry–occupied by a battered corpse–the investigation takes on a very different hue. 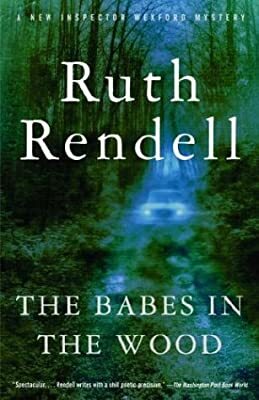 The Babes in the Wood is Ruth Rendell at her very best, a scintillating, precise and troubling story of seduction and religious fanaticism–and murder.